A Pilot watch is another timepiece essential to consider for your collection. 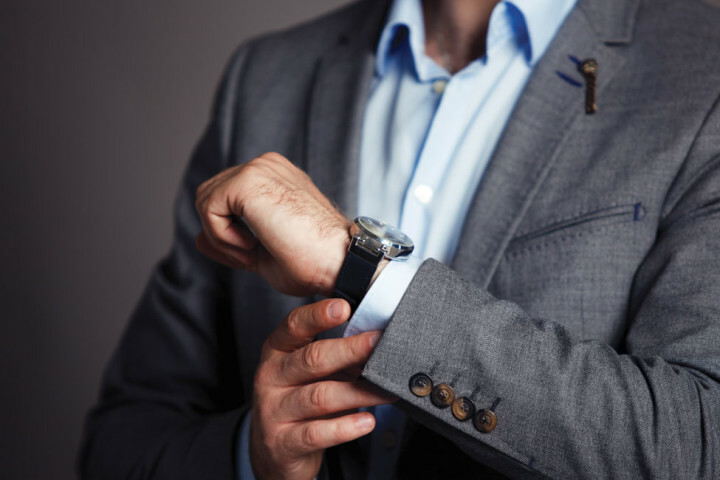 Pilot watches have long been associated with precision timepieces since the very origin of men’s wristwatches in 1904, when jeweler and watchmaker Louis Cartier designed a timepiece for colleague Alberto Santos-Dumont to wear on his wrist while flying. Pocket watches were favored by men at the time, yet were too cumbersome to use when flying in a single engine plane. The first Cartier Santos wristwatch featured a square-shaped case with rounded edges on the lugs and a leather strap that comfortably fit on the wrist. Santos-Dumont always wore the watch when flying and initiated the trend for men wearing wristwatches. 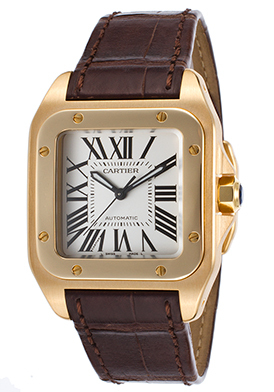 The Cartier Santos 100 automatic men’s watch is an updated and modern version of the wristwatch Louis Cartier designed for Santos-Dumont. This precision-crafted men’s watch features a larger-scale 33mm wide square-shaped case in 18K yellow gold with alternate brushed and polished surfaces. The luxurious brown alligator strap adds to the stylish design and has a deployment buckle clasp for added convenience and security. 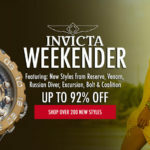 Features include a scratch-resistant sapphire crystal above the dial, premium Swiss-made automatic movement inside and water-resistance to 100 meters. Breitling is another watchmaker long associated with the world of aviation since the brand produced onboard chronographs used in aircraft cockpits in the 1930’s. During World War II, the British Royal Air Force equipped their air-fighter planes with Breitling time instruments for air strike missions. In 1952, Breitling introduced the Navitimer mechanical chronograph, one of the very first pilot watches with a circular slide-rule bezel for navigation related calculations. This legendary pilot’s watch is still in production today and remains a top choice for professional pilots. 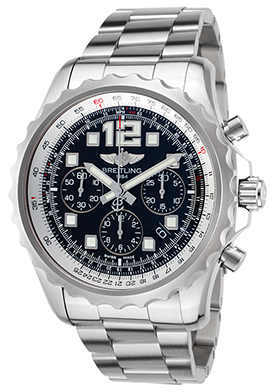 The Breitling Chronospace automatic chronograph is an exceptional pilot’s watch. This contemporary men’s wristwatch features the amply proportioned case in premium grade stainless steel that is an impressive 46mm in diameter and 15mm thick. The rich, weighty stainless steel link bracelet in brushed and polished steel has a fold-over deployment clasp for added security. The stainless steel bidirectional rotating slide-rule bezel features distinctive U-notched detail on the rim for added distinction. The handsome black dial features with three sub-dials, luminous sword hands, Arabic and square shaped hour markers. 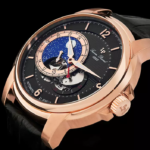 Features include small-second, 30-minute and 12-hour registers and a scratch-resistant sapphire crystal above the dial. 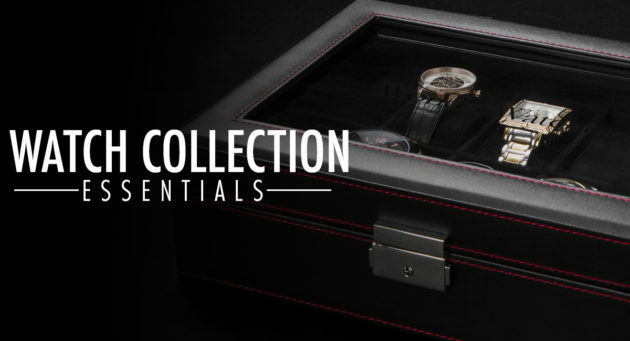 Additional features include a locking screw-down crown and case back for water-resistance to 200 meters and precise Swiss-made automatic movement inside. 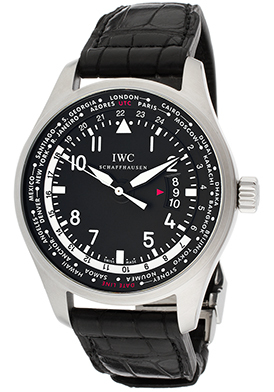 World time-zone watches are an absolute necessity for pilots travelling across the globe and the IWC Pilot Worldtimer watch is an ideal selection. This precision-crafted Swiss-made mechanical timepiece for men features the 47mm diameter, 14mm thick case in premium-grade stainless steel with brushed and polished surfaces. The handsome black alligator strap has a push-button deployment clasp for added convenience. The intricate black dial offers 24 time-zones for popular cities across the globe on the rotating outer dial, including London, Paris, Beijing, Tokyo, Denver, Los Angeles and New York… along with luminous sword hands and Arabic 12/24 hour markers. Additional features include a 42-hour power reserve, locking screw-down crown and case back for water-resistance to 60 meters. 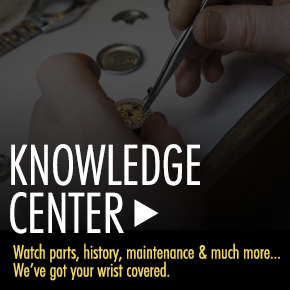 IWC Pilot watch is 47mm in diameter and 14mm thick. 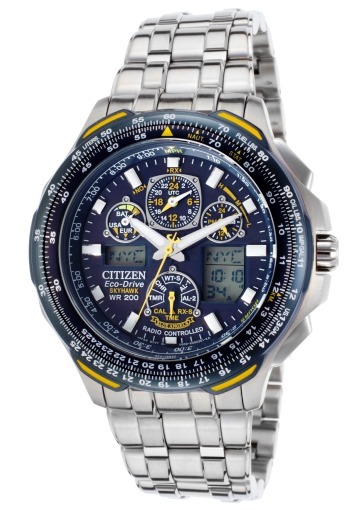 The Citizen Blue Angel Skyhawk A-T Chronograph is a worthy and affordable Pilot watch selection. This time-keeping tribute to the US Navy flight demonstration squadron features atomic time-keeping technology that synchronizes with the national atomic clock in Fort Wayne, CO. The stainless steel case in presented on a handsome multi-link bracelet in brushed and polished stainless steel. The bidirectional rotating slide-rule bezel in blue ion-plated stainless steel surrounds the navy colored analog/digital dial with luminous hands and hour markers, chronograph, perpetual calendar, multi-alarm and digital display functions along with world time-zone read-outs for 43 cities across the globe. The patented Eco-Drive solar quartz movement is powered by the sun or any other light source and will not require a new battery. 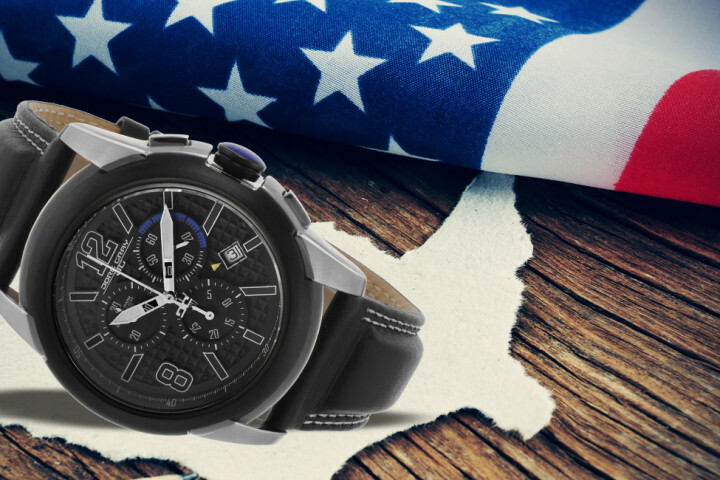 Citizen Skyhawk chronograph is 46mm in diameter, 16mm thick and is water-resistant to 200 meters.